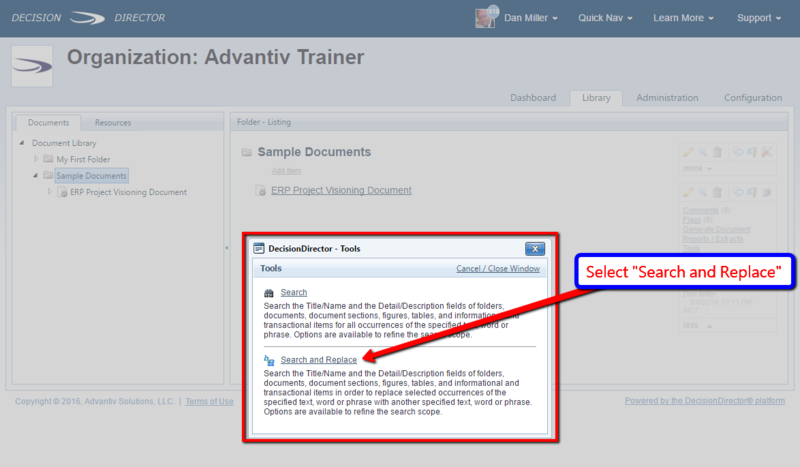 The DecisionDirector Content Editor has Search and Search and Replace tools that make finding and replacing text powerful, fast, and easy. 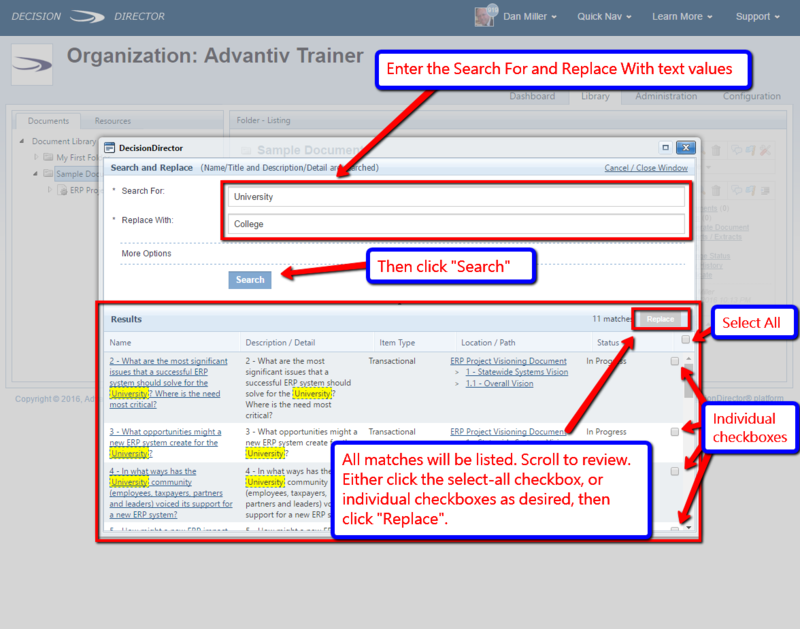 In this tutorial, we will go through a typical Search and Replace scenario. 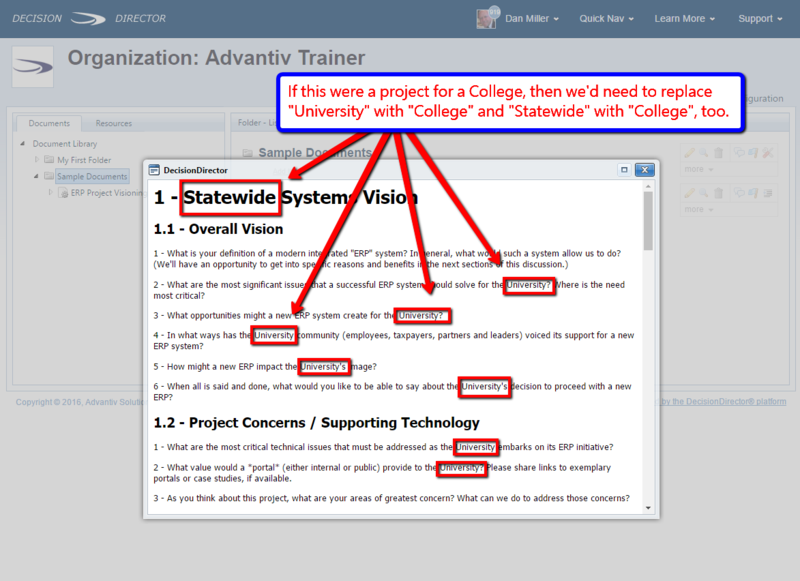 NOTE: The Search and Replace function will only replace text within documents whose status is set to "In Progress". 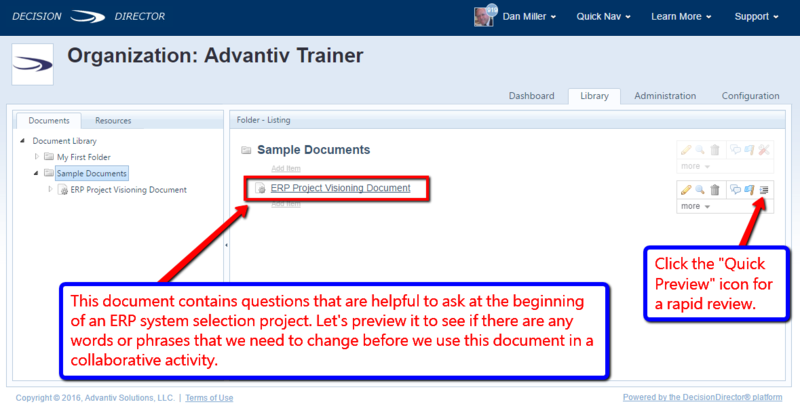 Helpful Hint: You can use Search and Replace on a folder and have all of the documents within the folder be subject to the search and replacement. 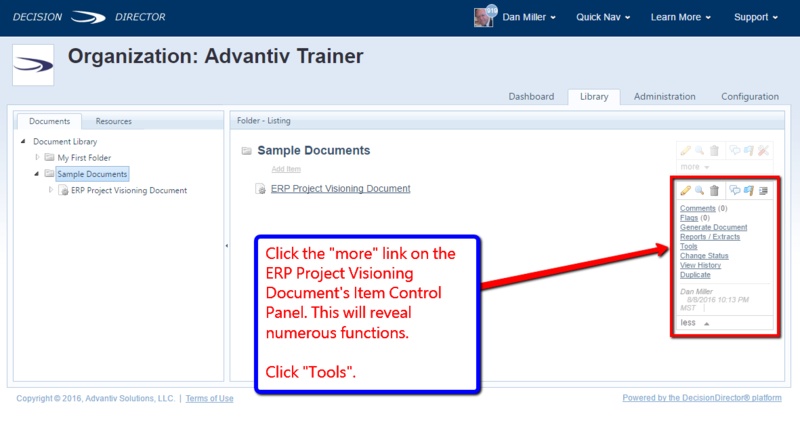 Simply access the Item Control Panel on a folder, select Tools, and go through the same steps as illustrated above.